After years of empty promises and demands from frustrated members of Congress, the Pentagon finally conducted its first-ever comprehensive audit—and unsurprisingly failed it, Deputy Defense Secretary Patrick Shanahan revealed Thursday. 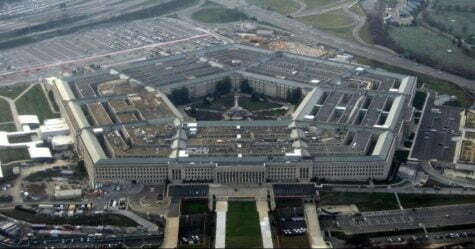 Although a 1990 federal law requires all U.S. government agencies to conduct annual financial audits, the Pentagon put it off until launching this one last December. Critics of the United States’ astronomical military spending said the findings were precisely why lawmakers and the public have demanded Defense Department audits for decades. “The simple truth is that the Pentagon is an atrocious steward of the hundreds of billions of dollars taxpayers give them every year,” Win Without War director Stephen Miles told Common Dreams. Even while members of Congress have called for audits, they’ve passed bipartisan bills doling out billions of taxpayer dollars to the department. The John S. McCain National Defense Authorization Act (NDAA) for Fiscal Year 2019, passed by lawmakers earlier this year allocated $717 billion to military spending, the bulk of which goes to the Pentagon. Millions of dollars have gone into the audit process, and millions more will be spent to fix the issues it identified, according to Defense Department Comptroller David Norquist. He told lawmakers earlier this year that it cost $367 million to conduct the review, and it will take another $551 million to resolve the problems the some 1,200 auditors found. The audit findings come as a new report from the Costs of War Project at Brown University’s Watson Institute estimated that the since 2001, the so-called War on Terror has cost the United States a “staggering” $5.9 trillion. Just why is the pentagon never audited? Did the Pentagon only have “honest” people? Who taught whom, the muslims the whites or the other way around? I expected this, from the `pentagon, and there will be a lot more what will come out. Who will get punished for that? I always wondered about how many people could buy such expensive houses, cars etc. So now, what will happen.? What an amounts of money. ALMOST THE WHOLE WORLD IS CORRUPT . From those amounts of money, you could have fed the whole world for a year. Follow the f……Money, always, at any price.Power and money, money and power!! !And how it all plays out, depend on people’s consciousness. I wonder …….., but almost not anymore.